Born in Paducah, KY, a graduate of Thomas Stone High School in 1995, and recipient of a Master’s Degree in Instructional Leadership from Tennessee Tech University in December 2002, Master Sergeant Aaron Torian enlisted in the Marine Corps as an infantryman in March 2003. He completed reconnaissance screening, was assigned to 2nd Reconnaissance Battalion and joined MARSOC in December 2006 as a member of 2nd MSOB. MSgt. Torian deployed in support of both Operations Iraqi Freedom and Enduring Freedom. MSgt. Torian was promoted to Gunnery Sergeant (Combat Meritoriously) on December 2, 2009. While assigned as a Team Chief, MSgt. Torian was leading his team during a dismounted patrol in Helmand province, Afghanistan when he was killed by an Improvised Explosive Device. MSgt. 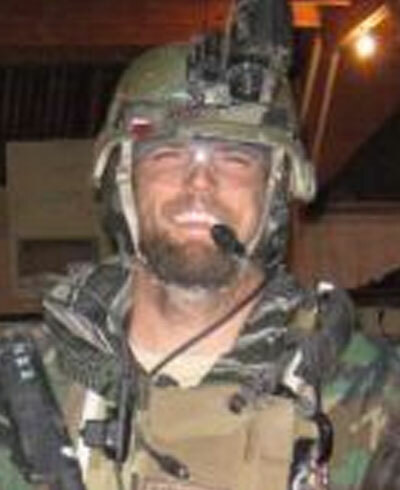 Torian’s personal awards include Bronze Star with combat V awarded posthumously in June 2014, two Purple Hearts, three Navy and Marine Corps Commendation Medals with Combat Distinguishing Device, the Navy and Marine Corps Achievement Medal, the Combat Action Ribbon with gold star, the Sea Service Deployment Ribbon with silver star, the Global War on Terrorism Expeditionary Medal, the Global War on Terrorism Service Medal, Iraq Campaign and Afghanistan Campaign medal, and three Good Conduct Medals.